Whenever you need a fresh start after a water emergency like a roof leak or flood, 911 Restoration Houston is the company that you can always turn to. Problems like pipe bursts or toilet overflows can be very frustrating to deal with for any homeowner. So you get the help you need exactly when you need it, our water damage La Porte specialists are available 24/7/365 to provide you with on the day repairs and restorations. Being near the bay area, your home in La Porte could be subjected to heavy rain from storms coming from the Gulf of Mexico. The exposure to severe weather can leave your home vulnerable to issues like roof leaks, storm damage, and flooding. The best way to deal with these issues is with immediate action. That’s why 911 Restoration has a quick response time of within 45 minutes that insures that your home gets back to shape in no time. Once our team arrives, expect them to begin by providing you with a free inspection and estimate that will help you determine the source of the issue. Once we get to the bottom of the problem, our team can perform the drywall repairs and flood extraction that will give you and your home a fresh start! To provide you with effective water cleanup and extraction, our crew will make use of advanced drying technology and techniques. If we do detect any signs of mold growth, we can provide mold remediation that will get rid of fungal growth and any spores it may have released within your home. To get rid of foul odors, we will sanitize and deodorize the affected sections of your home. For sewage backups, we will be wearing protective hazmat gear and we will make use of industrial strength cleaning solutions that will kill bacteria without harming hardwood. We will provide disaster repairs and restorations that will make flooded sections of your home look good as new. Our IICRC certified crew will make sure that you get only the highest quality of water damage restoration. With our years of experience in dealing with all kinds of water damage situations, rest assured that your home’s well-being is in good hands with 911 Restoration, so call us today! With the comprehensive solutions to water damage that 911 Restoration can provide, you can always turn to us whenever your home is affected by a roof leak, sewage backup, pipe burst, or even flooding. 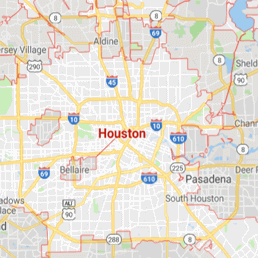 Whenever you need a helping a hand, you can count on the 911 Restoration Houston team to do the best we can to give you and your home a fresh start. Eliminating water that has already found its way into a property is Eli’s specialty, but he and his water damage La Porte team also know all there is to about the various ways to prevent such situations too. If water has invaded your home or business, then you need to call Eli, but if it is simply looming on the horizon, you might want to call Eli to find out what you can do to prevent it from taking over your structure. Don’t let water damage ruin your lovely home. 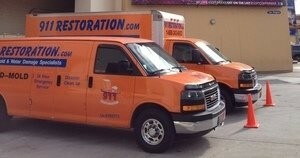 Contact Eli and the water damage La Porte team with 911 Restoration Houston for all the help your property needs today!